In this post I will explain 4 reasons that a prosecutor may decide to drop bp 25662 minor in possession charges. With only a few exceptions, minors in California are not permitted to possess alcohol in a public place. The offense of possessing alcohol while under the age of 21 is found under Business and Professions (B&P) Code 25662. Lets begin with the first reason which is a lack of possession. 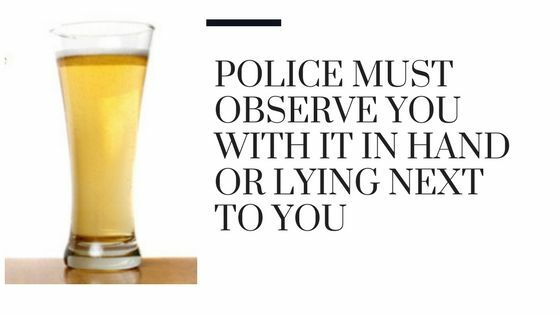 The police must find you in possession of alcohol by observing you with it in hand or lying next to you. If you are merely present while alcohol is possessed by others, including other minors, it does not necessarily mean that you were in possession. A search of your person, car, business or property can only be performed pursuant to a valid search warrant. There are numerous exceptions to the search warrant requirement, most notably being that the contraband was in plain view. For instance, if you are drinking in a public park or on the street, police can generally see that you are consuming alcohol or assume you are by seeing a beer can in your hand or next to you on the ground. Police cannot randomly stop you on the street and search you or your car absent probable cause to believe you are breaking the law. You may not be detained or arrested without probable cause as well. Probable cause is defined as reasonable or sufficient grounds in fact and circumstance to form a belief that a crime has been committed or that certain property is connected with a crime. You called 911 to report a medical emergency because of alcohol consumption; you were the first one to call 911 and you remained with police and medical personnel and cooperated with them. You possessed the alcohol4 in a location that was open to the public or on any roadway or highway. The law allows you to possess something directly or indirectly. Direct possession is where you are in actual physical possession such as holding a can of beer or cup with alcohol in it. Indirect, or constructive possession, occurs where the beer can or cup of alcohol is situated next to you so even though you are not holding it, it is under your control. Joint possession is possible as well where two or more persons are in control of the alcohol and are sharing it. Alcohol comes in many forms—beer, wine, liqueurs or spirits. Any liquid that contains a minimum of 0.5 of 1% of alcohol is an alcoholic beverage and may not be possessed by a minor in a public place. Any area or premises open to the general public is a public place for purposes of this law. This includes bars, restaurants, clubs, parks, streets or highways. A private home, of course, does not apply. A conviction for being a minor in possession under BP 256625 is a misdemeanor, though as a minor you are not subject to county jail time. You can request that the license suspension be shortened to one-year if you face multiple yearlong suspensions so long as you commit no other violations for 12-months. You may be able to get a restricted license if you can demonstrate “critical need” to drive for school, work or for medical appointments to transport an ill relative7. Work must be necessary to help support your family. 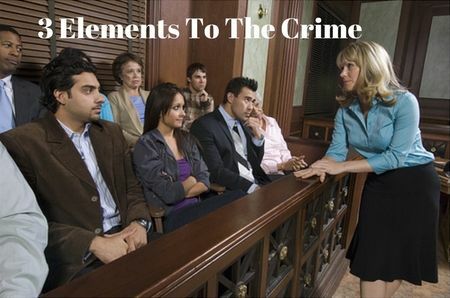 Should you be under the age of 18 when charged with being a minor in possession, your case will be handled by the juvenile court where a judge, and not a jury, can decide your guilt or innocence. The proceeding is called a juvenile adjudication hearing. If the judge finds sufficient evidence, then the petition is sustained and you are considered guilty of the misdemeanor offense. Can I be charged as a minor if I am carrying beer home from the grocery store? If your parent or other adult is not in the car with you, then you can be charged. You have a defense if you can show that you were transporting the beer at the direction of your employer as part of your work (delivery boy). If an adult is in the car but that person is carrying an open beer can, you can also be charged with an open container violation. Can I serve alcohol in a bar or restaurant if I am at least 18? Yes, California law permits servers who are 18 and over to serve alcohol. Can a police officer who comes into a private home arrest me for drinking? First, an officer cannot enter a private home unless the officer has a search warrant or consent is given by the owner or occupant or there are particular circumstances where a crime is being committed. If you are drinking in the private home, you are not on public property. If you happen to wander outside and onto the sidewalk with a beer in your hand or are intoxicated to the point where you are risking your health or are not capable of taking care of yourself, then you can be subject to arrest. Also, an adult can be charged with certain offenses if alcohol consumption by minors is allowed on the property and a minor who had consumed alcohol there leaves and causes an accident. This is a misdemeanor with a sentence of up to 6 months in jail and a fine of up to $1000. This is also a misdemeanor with penalties of up to one year in county jail and a fine of up to $1000. You can also have your car impounded for up to 30-days and face a one-year driver’s license suspension or delay of one year after becoming eligible for a license. Under Vehicle Code 23136 – minors may not drive with a BAC of 0.01%. This is a zero tolerance violation. Any substance containing alcohol can result in your blood alcohol (BAC) having a measurable degree of alcohol. A violation will result in a one-year suspension of your driver’s license. However, It is not considered a criminal violation. This is the standard or “adult” DUI offense. A first offense results in a one-year suspension if you are a minor, a fine of $390 up to $1000, a 3 to 6-month DUI education program and probation of 3 to 5 years. You also face up to 6 months in county jail. Unlike adults, minors are required to submit to field sobriety tests and the preliminary alcohol screening tests or PAS, which is a portable alcohol breath device that officers carry in their vehicles. If the PAS reveals the presence of alcohol, you can be arrested. Should you refuse even the PAS test, which adults may legally do, you will lose your license for one-year and you are ineligible for a restricted license. As with any adult who is charged with a DUI, you can also request within 10 days of your arrest an Administrative Per Se hearing with the DMV to contest your license suspension. If you are ready to discuss a pending case contact the Aizman Law Firm at 818-351-9555 for a free confidential consultation. 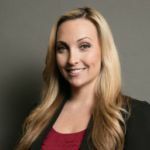 Last updated on March 18, 2019 by Diana Aizman, Esq.